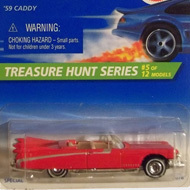 4/12 from the 1996 Treasure Hunt series. 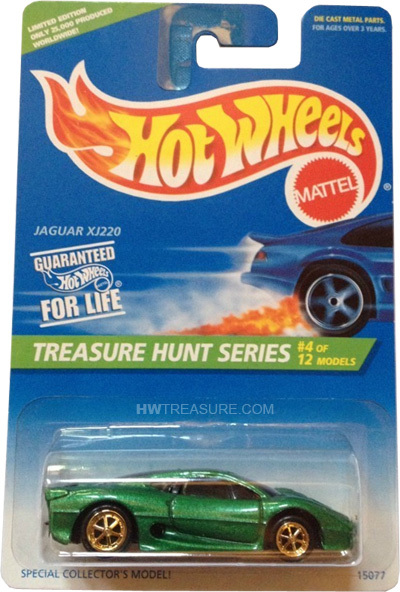 The Jaguar features green metalflake paint with a gold Hot Wheels logo on the rear window. It features a black interior, clear windows, gold 6-spoke Pro-Circuit wheels, and a black plastic Malaysia base. 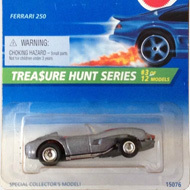 The XJ220 premiered in the 1993 Hot Wheels series. It is based upon the actual vehicle that was produced from 1992 until 1994. The Jaguar was the fastest production car at the time with a recorded top speed of 213.1 miles per hour.